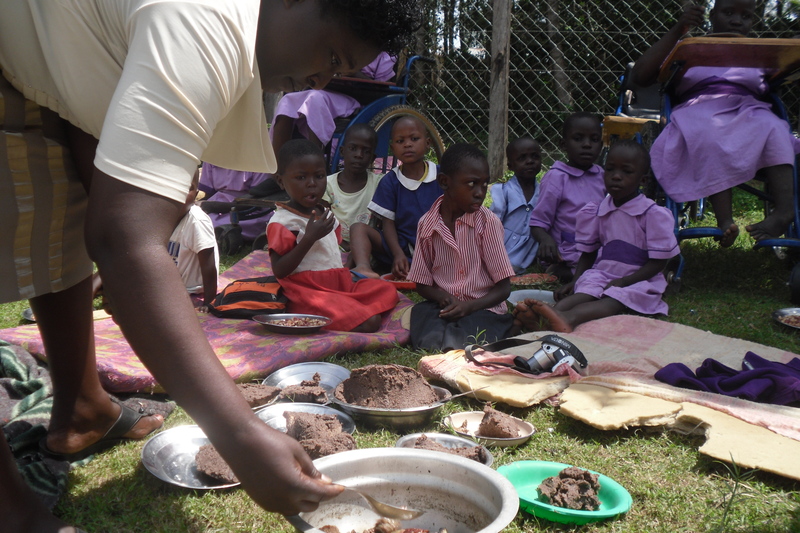 Making black millet ugali in Khabakaya Primary school and Rise&Shine special school. 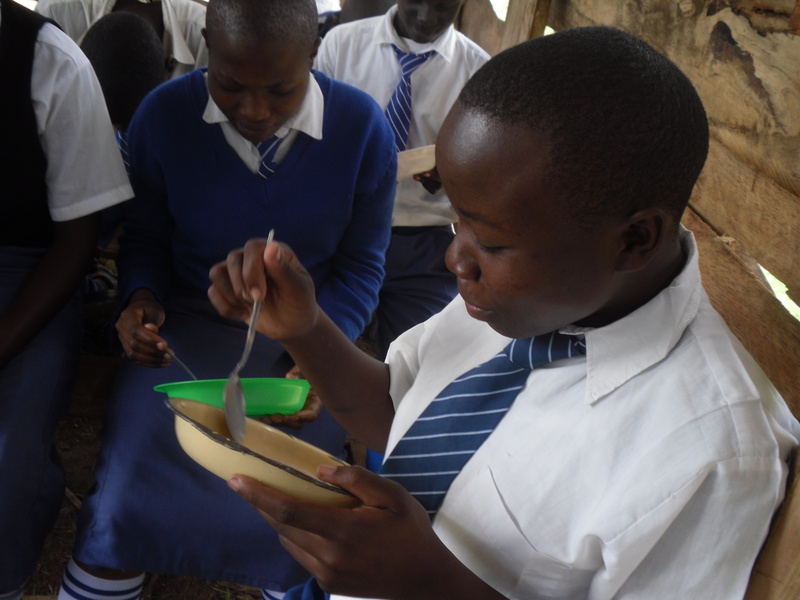 In Kenya, ugali is the name for the most common mealtime starch: a thick, stiff porridge made from white cornmeal or red millet. Ugali is a very simple dish of milled white maize, cooked with water until it’s very stiff and pulls away from the side of the pan. It’s served in big floppy slabs together with meat and vegetables. 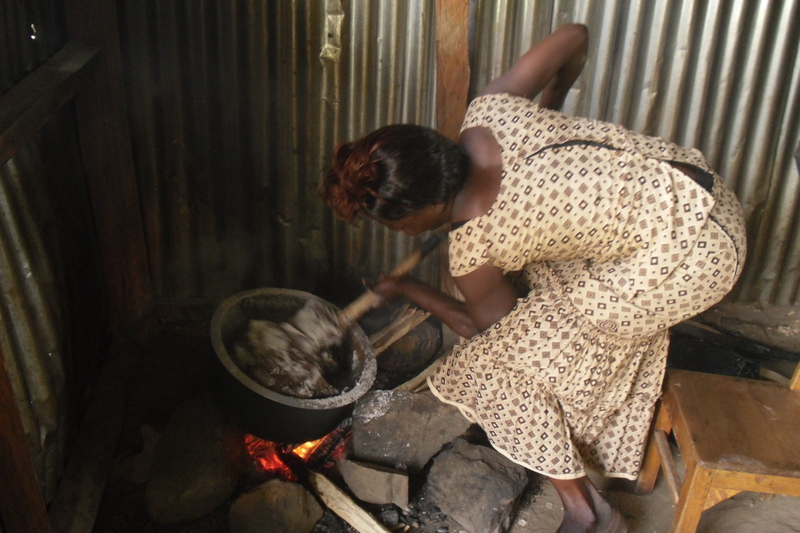 Traditionally, ugali was made with millet – a rich and nutritious grain. But when cornmeal, or maize, found its way to the African continent, it became even more popular as a grain staple. Millet is a gluten-free grain that is nutrient dense and fibre-rich. It is linked to good heart health, diabetes management, gallstone prevention, in fact, it ranked as one of the world’s healthiest food. 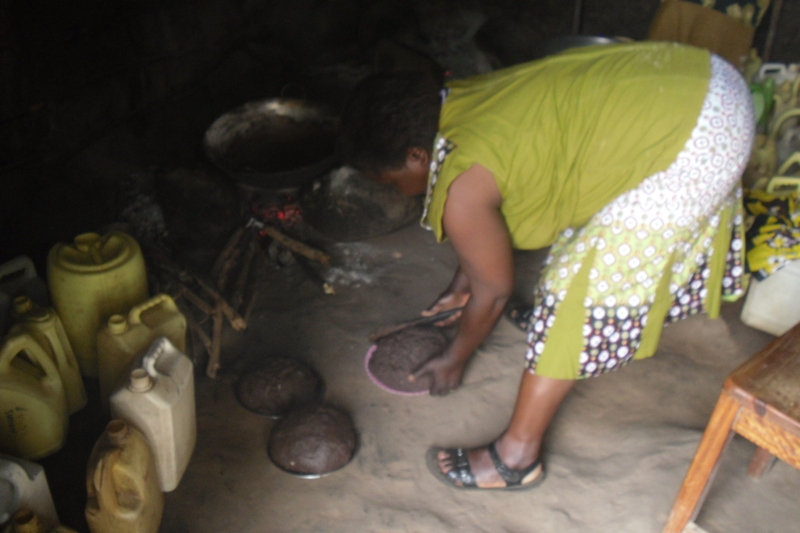 The traditional way to eat ugali is to gather it up in small, thumb-sized balls, pressing it together with the tips of your fingers. Then you make a small indentation on one side and use it to scoop up meat, vegetables, or stews. It’s a substitute for any sort of cutlery at traditional Kenyan tables. Recipe: Bring to boil some water and salt. Add flour to your liking and then spin over very low heat. Cook for about 40 minutes. Kenya’s economy is dominated by agriculture which is also the largest contributor to Kenya’s gross domestic product (GDP). But at the same time only around 15-17% of the land has sufficient fertility and rainfall to be farmed and only 7-8% can be considered to be first-class land. Kenya is a leading producer of tea and coffee, one of the biggest producer of sugarcane as well as the third-leading exporter of fresh produce, such as cabbages, onions and mangoes. Small farms grow most of the corn and also produce potatoes, bananas, beans and peas. Farming sugarcane has been an essential activity in Kenya, especially in Western part of Kenya and also in Shianda village as there is a local sugar factory in Mumias. Sugarcane is mainly planted by farmers who deliver it to the processing factory after maturity. 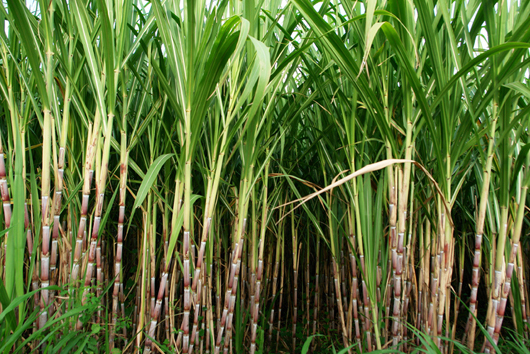 For farmers it has been convenient to grow sugarcane because the factory has been providing seeds, harvesting with transport and even incentives. But nowadays the factory is struggling with payments and because of increased costs of input, lack of incentives from the factory, farmers are withdrawing from growing sugarcane replacing it with maize and vegetables. Which is a good development as sugarcane’s growing cycle is around one year and people don’t use it for their own consumption. Now sugarcane farmers are facing a serious problem as they need to invest into inputs and fertilizers but have to wait a year before harvesting benefits and in addition the factory is delaying with payments resulting often with negative returns. As most of the farmers are small-scale, this kind of situation is increasing poverty and food insecurity in the area. So replacing sugarcane with maize is rather recommended. 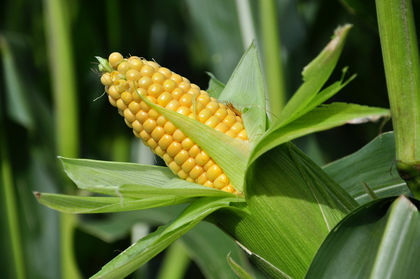 Maize can be harvested twice a year and people are using it for their own consumption. But even growing maize has its own disadvantages. When there is a dependable marketplace for sugarcane in the face of Mumias Sugarfactory, there is none for maize. Small-scale farmers in Shianda have two options when selling their maize, whether to sell it during the harvesting season, when the price is often below the net value or store their maize to even out fluctuations in market supply by taking produce off the market in surplus season and releasing it back onto the market in lean season, receiving higher price but suffer heavy losses, both of which are detrimental to the farmers. Furthermore small-scale farmers in Shianda village are lacking dependable marketplace and have no bargaining power over the price on selling their products. At the same time due to low job opportunities and lack of education in the area, for most people farming is the only option to earn some income. Farmers are facing many challenges to ensure food security for their families. Like many other African countries Kenya is also struggling with desertification. The majority of local farmers use chemical fertilizers. Natural fertilizers such as compost are often preferred to chemical fertilizers. Also, the overuse of chemical fertilizers can have negative effects on the land. For the past twenty years the rains have not been very reliable. The prevailing dry periods have created food supply problems. The rains have been unfavourable to basic crops such as corn, potatoes and beans and food insecurity has resulted. Many local farmers are obliged to buy food to meet the needs of their family because the soil has become completely sterile. Drought has eroded the country’s natural resources to an extent that they are inadequate for production and support for livelihoods. Droughts have accelerated soil degradation and reduced per-capita food production. In the last decade alone, four major food crises have all been triggered by desertification. Desertification processes have led to massive internal migrations, forcing communities to flee their localities to already-overcrowded areas thereby causing disputes over scarce resources use. Although the government has put in place National Food Security and Nutrition Policy, the quantity and quality of food available, accessible and affordable to all Kenyans, achieve good nutrition for optimum health has remained a challenge. 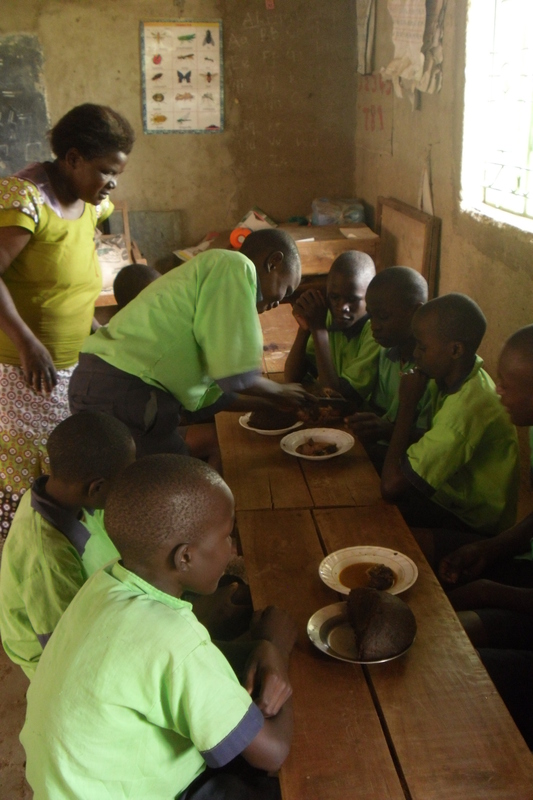 Eshiakulo Secondary School pupils had an opportunity to taste traditional estonian food – kama. What is kama? Kama is a traditional Estonian finely milled flour mixture. The kama is a mixture of roasted barley, rye, oat and pea flour. The oat flour can be completely replaced by wheat flour. Historically kama was a non-perishable, easy to carry food that could be quickly fashioned into a stomach-filling snack by rolling it into butter. Kama didn’t require baking, as it was already roasted. 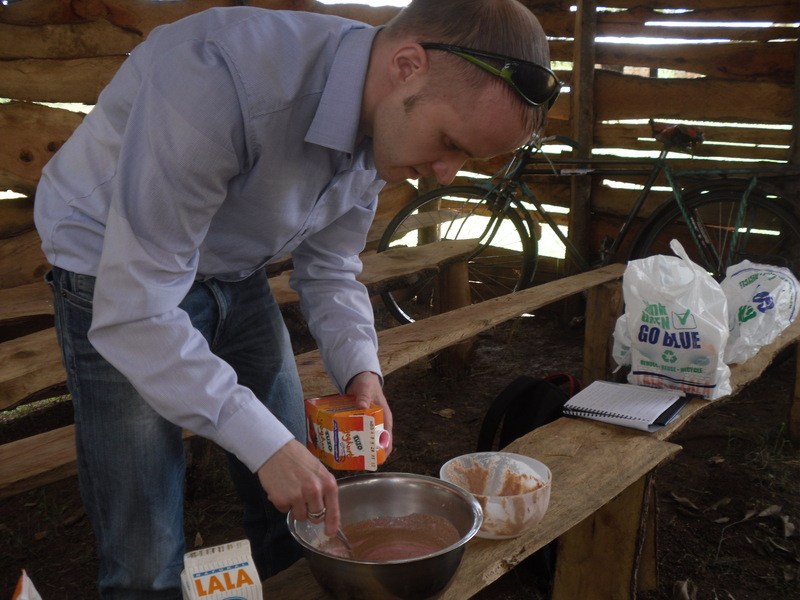 “Kama flour” is healthy and natural product made of Estonian crops. A meal from kama flour will provide you with a healthier diet option. Kama flour is a product rich in fibres and minerals and a valuable source of B group vitamins. Use kama flour with fermented milk products, it will double the healthy impact. Nowadays kama is used for making some desserts. 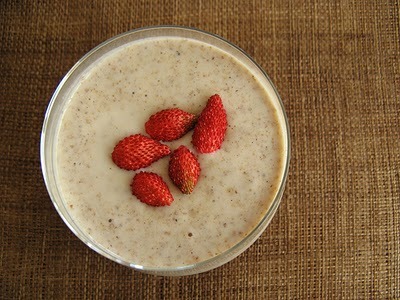 It is mostly enjoyed for breakfast mixed with milk, buttermilk or kefir as mush. It is frequently sweetened with sugar and berries. Traditional Estonian dishes are conspicuous for the simplicity of their preparation. 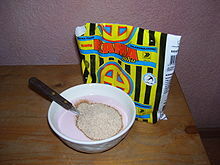 Just take kama, mix it with milk or buttermilk and eat it! Simple as that! Not bad at all. Strange, but eatable. Just mix it and eat it! Read all the posts by Eshiakulo Secondary School. 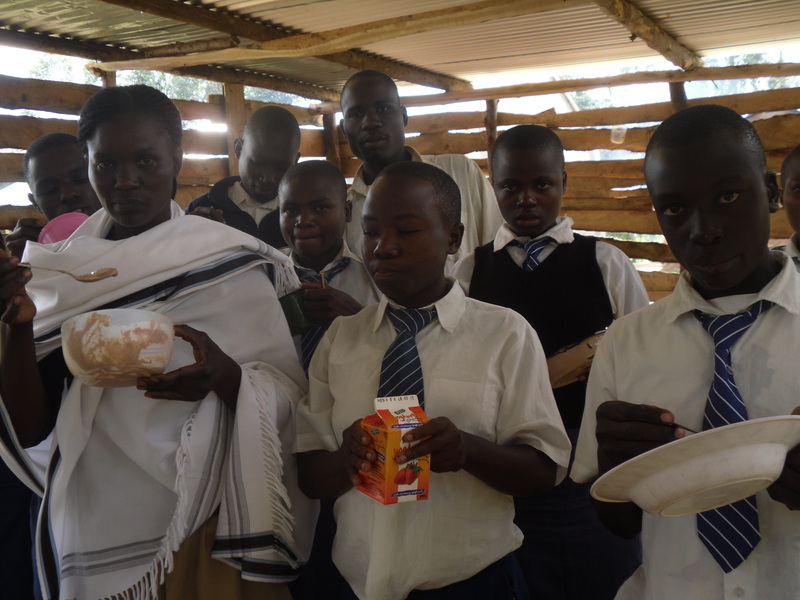 Read all the post by students from Kenya.